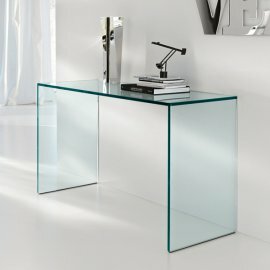 Tonelli desks are made of transparent or extra clear glass. 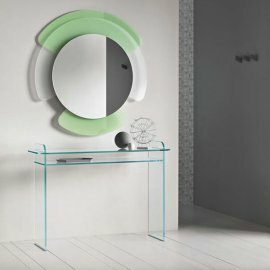 The Italian company uses evolutionary technology in order to make great works of art out of glass, which is more liquid than solid. 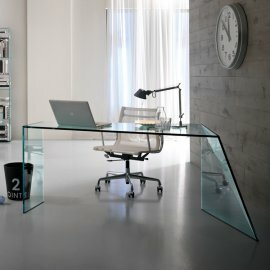 The glass desks are unique and sometimes irregularly shaped in order to be eye-catching and beautiful. 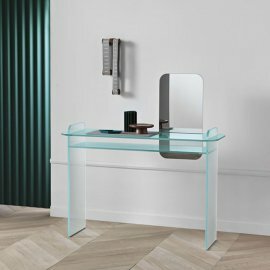 Every piece of furniture that comes out of Tonelli’s is sure to be in an innovative modern design. The desks are great for the office—for personal computers or laptops. They can also be unique writing desks.